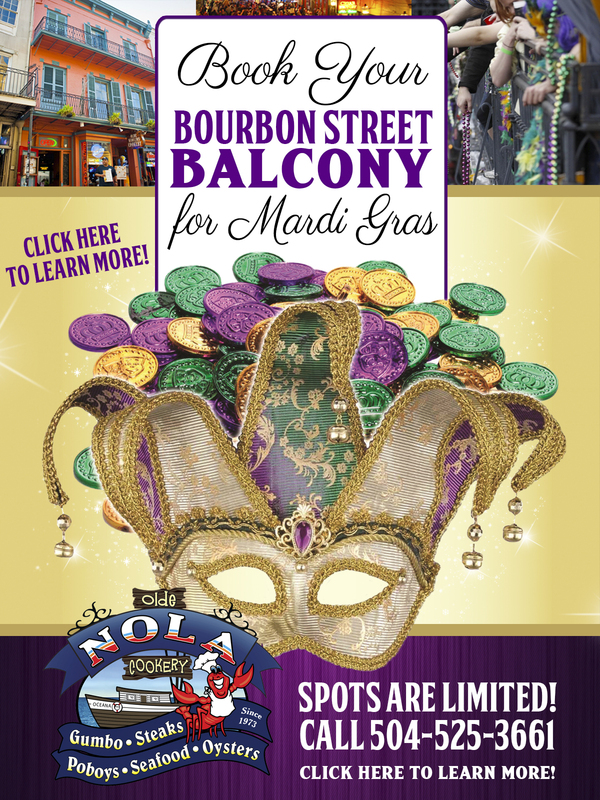 Mardi Gras / Bourbon Street Balcony Party!! 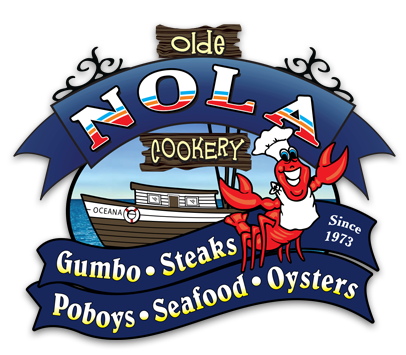 If you find a deal better than ours, we will pay for you and your party’s Mardi Gras balcony tickets. Why just watch Carnival when you can get a front row seat to all the action? 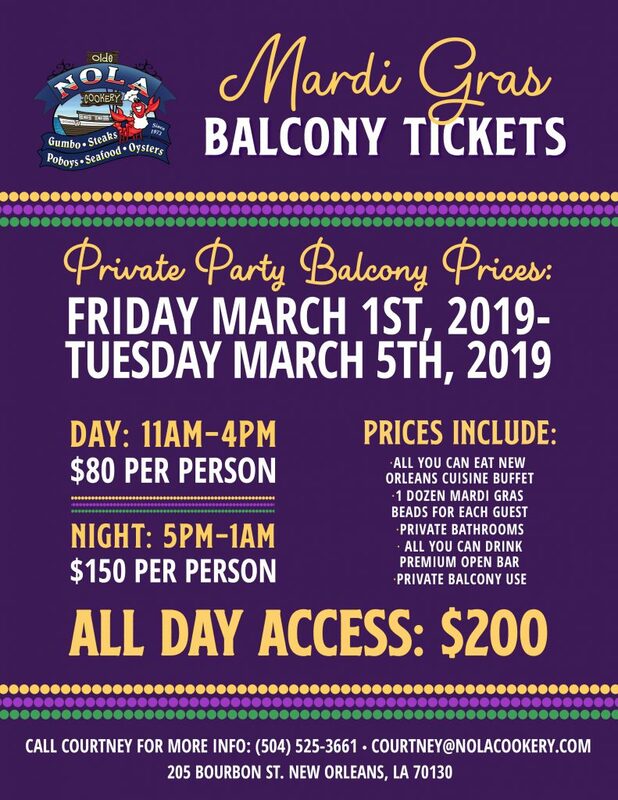 With our Mardi Gras VIP Bourbon Street Balcony Tickets, you can get a full Mardi Gras experience from your coveted spot on one of our two fabulous balconies overlooking the Carnival craziness on Bourbon St.
We offer the most memorable and enjoyable experience in the city. 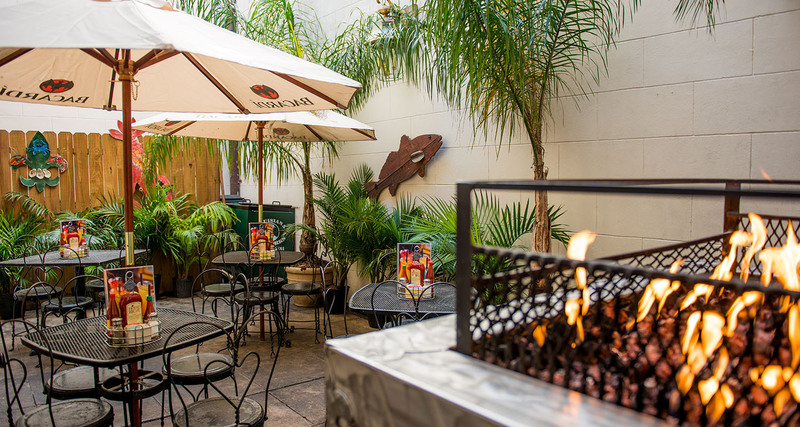 Our balcony views will blow you away and so will our food! 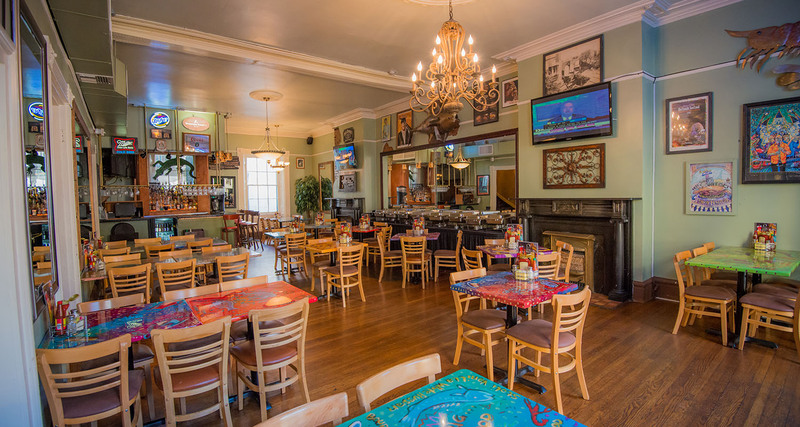 We serve some of the best Cajun and Creole dishes in the city; our Jazzy Crab Cake Platter is musical and the Bananas Foster Ice Cream Cake will have you second lining all day long.